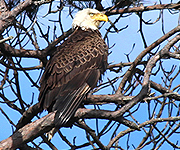 Kiawah Island is renowned for its natural beauty and abundant wildlife. Surrounded by the Atlantic Ocean and vast salt marshes, Kiawah has a mixture of lush maritime forests, brackish water ponds, and picturesque dunes. 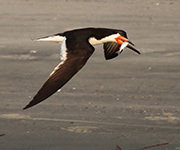 Exploring this varied habitat gives you the opportunity to observe the tremendous variety of flora and fauna present on this pristine barrier island. 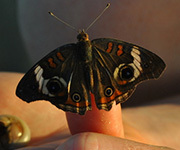 During your stay on Kiawah, tour the island with our Naturalist staff as they open your eyes to the nature of Kiawah. For a list of our many tours, click here. Located inside the Heron Park Nature Center, the Island Outpost is your place to go for original gifts and adventure-friendly apparel. With a wide selection of outdoorwear, the Island Outpost has something for the whole family. Our mission is to provide the opportunity to support South Carolina made, organic/earth friendly products in an effort to reflect our goal as an educational and conservation oriented resort. Opening daily at 8:30am, the Nature Center is located in Night Heron Park adjacent to the pool and the Night Heron Pavilion. It is the heart of the resort’s Nature Program and is a great first stop to get information on recreation activities and recent nature sightings. Closed Christmas Day. 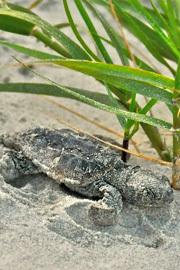 Each month the Nature Program sends out a newsletter filled with details about natural happenings taking place within Kiawah’s diverse environment. In this newsletter you will learn about the amazing interactions between reptiles, birds, mammals, ocean life and plants. Guests and residents alike can stay up to date with the island’s green initiatives and monthly events. We need everyone’s help in protecting this unique ecosystem. Does someone in your family have an upcoming birthday? Why not celebrate it with a few of our reptile friends from the Nature Center! One of our Naturalists will lead a fun and unforgettable birthday program that could include snakes, turtles, alligators and other special guests! You can choose to have the party off island, or right here in our 21 acre Night Heron Park! To learn more about the birthday parties we offer, you may contact Kristen Lococo at Kristen_Lococo@KiawahResort.com or call the Nature Center at (843) 768-6001. Educators, please click here to learn more about our programs. The Town of Kiawah Island takes a very active role in managing the natural resources on the island. From the wooded uplands to the beaches, animals thrive in the rich natural environment. Deer, bobcats, gray foxes, raccoons, river otters, and ospreys are just a few of the many animals that can be found on Kiawah Island. Wildlife management on Kiawah is handled by a full-time wildlife biologist and an assistant wildlife biologist in cooperation with the Town’s Environmental Committee, the South Carolina Department of Natural Resources and other island entities, such as the Kiawah Conservancy, Heron Park Nature Center and the Kiawah Island Community association. The Town and Conservancy have funded and supported several research projects and programs, many of which are ongoing, in order to better understand and manage the wildlife species on the island. 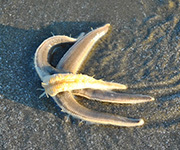 Visit www.wildlifeatkiawah.com to learn more. As you enjoy this island teeming with wildlife and lush vegetation, remember that you are exploring a habitat that is becoming increasingly rare along our coast. Kiawah is fortunate to have the Kiawah Conservancy, a 501(c)(3) non-profit organization, which is committed to the preservation, enhancement and restoration of natural habitats needed to maintain a healthy, balanced and diverse population of native plants and animals at Kiawah Island. If you enjoy everything that makes Kiawah special, we encourage you to contribute to the Kiawah Conservancy through financial support. Tax-deductible gifts can be made at the Heron Park Nature Center, upon checkout at the Kiawah Island Golf Resort and The Sanctuary at Kiawah Island or directly to the Kiawah Conservancy online at KiawahConservancy.org or in their office at 80 Kestrel Court, Kiawah Island. To learn more visit the Kiawah Conservancy online, like the them on Facebook, follow @KiawahConserv on Twitter or stop in at the Heron Park Nature Center and pick up a free copy of the Kiawah Conservancy’s Naturally Kiawah magazine.